Brad Jones Racing and Blackwoods are excited to announce 2016 Adelaide 500 winner Nick Percat will be in Blackwoods Racing blue when he arrives at his home-town of Adelaide for round one of the 2018 Virgin Australia Supercars Championship – the Adelaide 500. 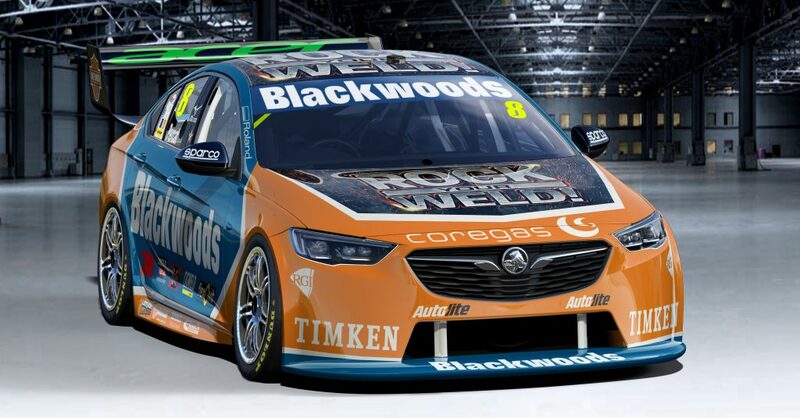 Blackwoods are proud to be on board for the always thrilling season opener, which will see Nick Percat race the Blackwoods Racing #8 ZB Commodore in front of the 200,000+ crowd that attends this stellar South Australian event every year. Blackwoods is Australia’s leading provider of industrial supplies, with unrivalled expertise and the ability to bring together the best of the best, Blackwoods is also the first choice for BJR for all their welding, gas, tools, safety gear and PPE supplies. With all the best products from leading brands such as Milwaukee, 3M, ESAB, Lincoln and Cigweld, BJR relies on Blackwoods to help them work faster, smarter and safer in pursuit of crossing the finishing line first. Nick Severino, Group GM – Merchandising, Blackwoods –“We’re delighted to continue to strengthen our relationship with BJR and the supercars community. The expertise of both our technical specialists and the guys at Coregas will give Nick and his team the edge in the workshop and on the track”.